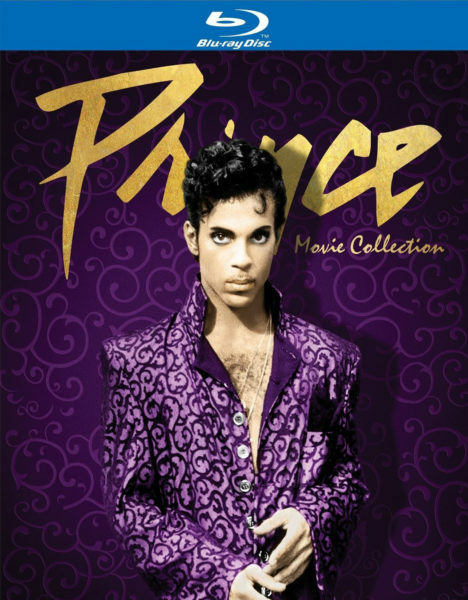 Warner Bros. Home Entertainment are to release The Prince Movie Collection, a boxset containing all three of Prince’s movies, Purple Rain, Under The Cherry Moon and Graffiti Bridge in Blu-ray format. This release will present a double first to Prince fans; 1) that this boxset will issue for the first time Under The Cherry Moon and Graffiti Bridge in Bluray format and, 2) it will mark the first official posthumous release following Prince’s death on 21 April. The boxset will be available to purchase from 4 October and at a retail price of $24.98, the movies will be also available individually for $14.97. The disks will also be cased in purple plastic instead of the usual blue packaging for Blurays.